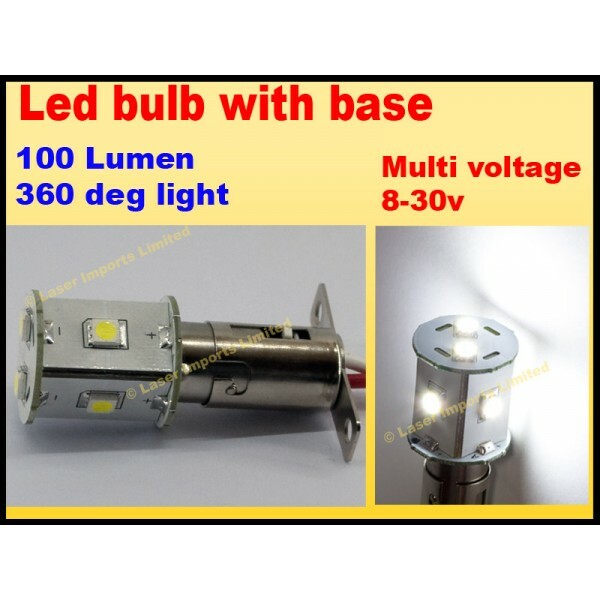 You are buying 1x led bulb with the Fitting. Please note this bulb is not a standard fitting so we have attached the base and are selling them off cheap and there is a limited number in stock. This bulb has 6 high power leds equivalent to about 70 standard leds. Has a built in voltage regulator and can run on any voltage between 8-30v. It emits the light from all around the bulb making them great for marine and caravan lighting. To install screw the base to where you want it and connect the red to positive and white wire to negative. * 4 side mounted and 2 end mounted.